I have always maintained that I am not into fashion. I'm into shopping, which is something entirely different. Specifically, since childhood, I've been into second hand shopping. My grandma used to own a resale shop, I grew up going to yard sales every weekend, and I even did a stint as a buyer at Buffalo Exchange when we first moved to Texas. I'm always excited to learn about new resale and consignment stores in Austin. 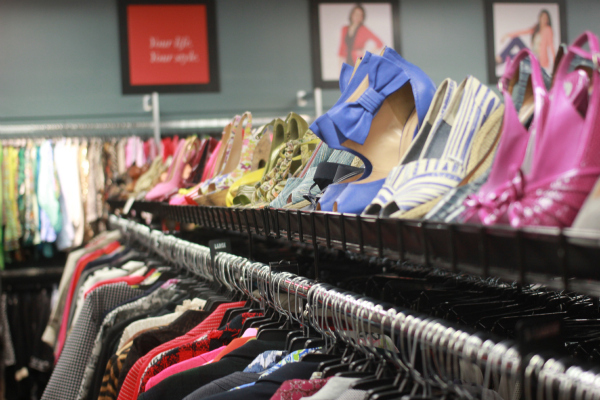 Plato's Closet is one resale shop that I'm familiar with, but have only been to twice. It's a national chain of resale shops that buys and carries a lot of on-trend clothing for the high school and college set; For example, when I went in I saw a lot of Abercrombie, American Eagle, and Forever 21. But did you know Plato's Closet has a more sophisticated older sister? 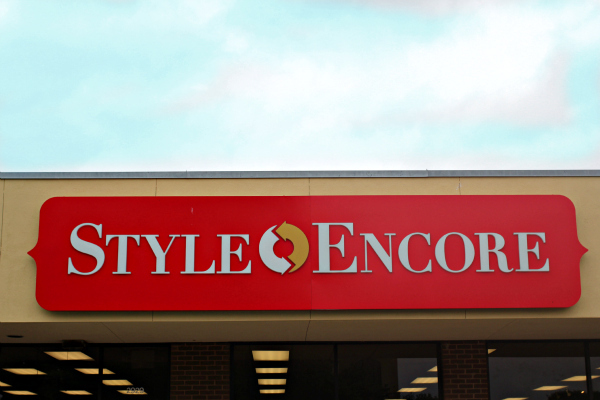 Style Encore is a part of the same company, but it caters to an older crowd. They recently had their grand opening here in Austin, and last week I went in to check it out. Some of the more popular brands in stock were J. Crew, Banana Republic, and Michael Kors. There was also a fair amount of Antropologie clothing and designer denim. For those who are looking for high end luxury brands, there's a rack filled with DVF wrap dresses, Marc Jacobs frocks, and others of that ilk. The store was organized well, which makes shopping easier. 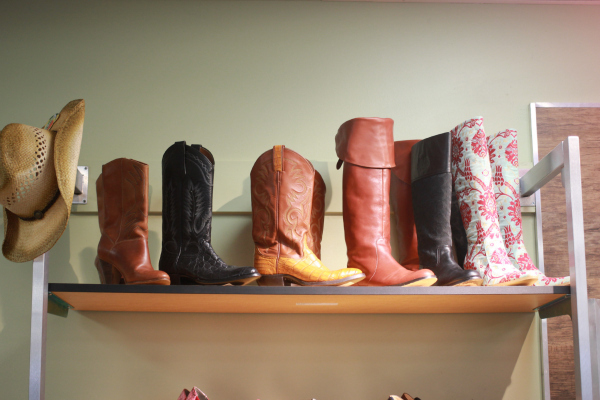 Shoes and clothes were grouped by type, size, and color. For instance all the size medium knit tops clearly marked and were hung together with all the white shirts together, all the pink, all the black, etc. 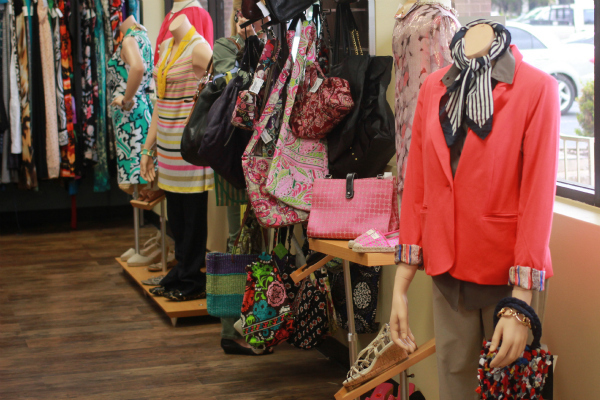 For those of you who feel overwhelmed by traditional thrift store shopping, stepping into this upscale resale shop instead will be a welcome relief. 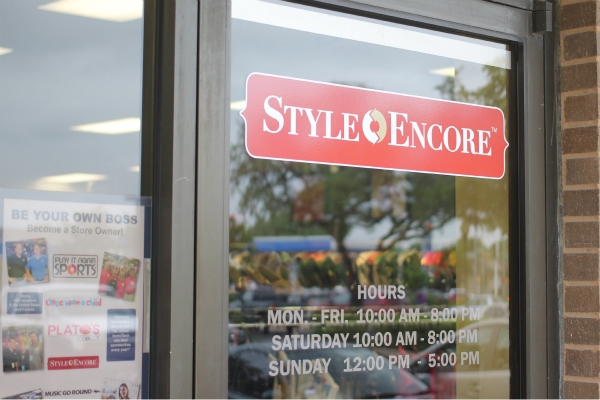 Like Plato's Closet, Style Encore has a buyer in store available at all times, which means you can sell your clothing and accessories to them. Here's a list of what they're currently buying. I took in four items and they bought two: a NWT Banana Republic blazer I had scored at a thrift store in Seymour, Indiana, as well as a pair of Cynthia Rowley ankle pants that I originally purchased at Marshalls, that I had only worn once. They priced the blazer at $14 and the pants for $16. When you want to sell, the buyer will look through your offerings and you can choose to stay at the counter to see what they accept or shop around while they sort through your items. They'll offer you 30% - 40% (depending on the item) of what they plan to sell the item for in the shop. They try to price items around 70% of original retail prices. 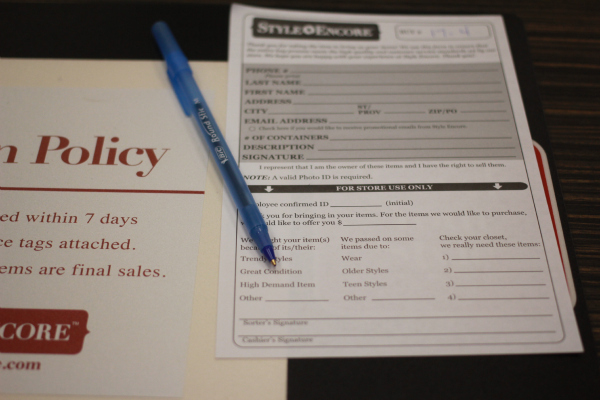 Unlike Buffalo Exchange, where you're at the mercy of the buyer's expertise, Style Encore uses a computer system that will help price the item. When the buyer is done going through your stuff, they'll give you an offer. You can choose to take the offer as "trade", which equates to store credit (untaxed) or walk with cash (taxed). Vexed? Here's a helpful video that explains the process. I took the trade and ended up buying a striped dress originally from The Limited for $20 and a pristine Banana Republic trench coat for $35, that I just know I'll have for the rest of my life, it's such a classic piece. My aunt scored a gorgeous black lace Leifdottir dress for $40 (originally $288 from Anthropologie) that she's going to wear to Austin Fashion Week this weekend.